Year four of Blue Ox looks to be one of the best parties the bluegrass/roots celebration has ever thrown. Whispering Pines Campground – pine trees, sunsets, and all – is a perfectly idyllic setting for this eclectic collection of the genre’s finest performers. Blue Ox mainstays such as Pert Near Sandstone (the festival’s co-organizers), Greensky Bluegrass, Charlie Parr, Sam Bush, and the Del McCoury Band return to kick off the Chippewa Valley’s festival season, while some exciting newcomers like Margo Price, The Devil Makes Three, and Mandolin Orange round out a lineup of truly stellar pickers and pluckers. Year after year after year (in fact it’s more like 30 years), Cadott staple Country Fest has brought tons of seriously huge names in country music to our fair Valley, and there’s no sign it will stop anytime soon. 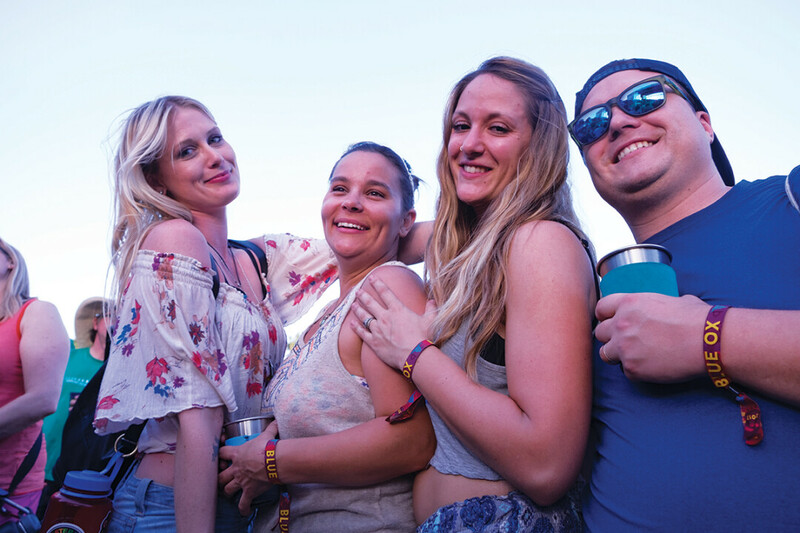 2018’s iteration of the sunny festival will bring the likes of Jason Aldean, Brad Paisley, and the Nitty Gritty Dirt Band to the area, so get ready to raise a cup with tons of friends in the perfect setting for an awesome country festival like this. After a significant move to Chippewa Falls, the Northwoods Blues Festival – which originated in Spooner a few years ago – is ready to blow the doors off during its two-day celebration of blues. Get ready for ecstatic summer vibes with beloved blues tunes from two stages chock full of rockers from all over the region, including local legend Howard “Guitar” Luedtke. 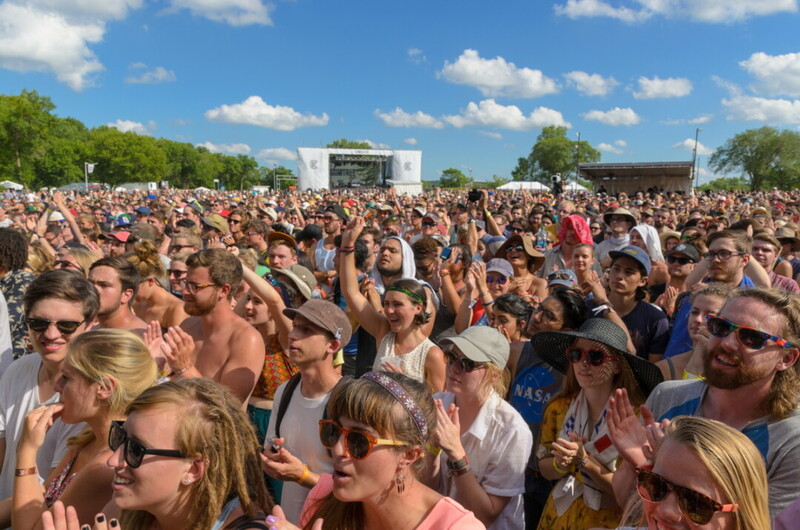 2018 will be somewhat of a shake-up for Eaux Claires due to the daring decision to spill no beans whatsoever on what artists are actually performing. But, to be real, the festival has never disappointed in the past and if you’re willing to fork over your trust to co-curators Justin Vernon (Bon Iver) and Aaron Dessner (The National), you can at least count on being in on something wholly unique, with an abundance of experiential art installations in tow. Plus, between cryptic podcasts the festival released earlier this year and Vernon’s tweets, one can piece together an intriguing chunk of the lineup which appears to include Patti Smith, Sharon Van Etten, Noname, Phoebe Bridgers, serpentwithfeet, Julien Baker, Moses Sumney, Hiss Golden Messenger, and perennials such as Francis and the Lights and Phil Cook. Twenty-five years ago, the rock gods blessed a patch of land in central Wisconsin, saw that it was good, and every year since, Rock Fest has brought undeniable rock ’n’ roll legends to the Chippewa Valley. That first year – which saw performances from The Guess Who, REO Speedwagon, and Cheap Trick – set an awe-inspiring precedent for what has blossomed into one of the Valley’s best annual events. To celebrate the silver anniversary this year, Rock Fest and its community of widespread rock fans welcomes the likes of Disturbed, Incubus, Godsmack, and Rise Against to continue the legend that began 25 years ago. Add to that a few killer tribute bands, tattoo parlors aplenty, and even a chapel of love, and Rock Fest is not to be missed. July 19-21 • Foster Farms, Eau Claire • Tickets: $95-$1,014 • Blake Shelton continues to show the Chippewa Valley love, returning to play Country Jam this year. For the annual celebration of all things country, from the cowboy boots to the beer, Jam is a country lover’s dream, just a couple of miles outside Eau Claire. Alongside Shelton at the top of the lineup is the legendary Alabama, as well as stars such as Billy Currington, Justin Moore, and Dustin Lynch. 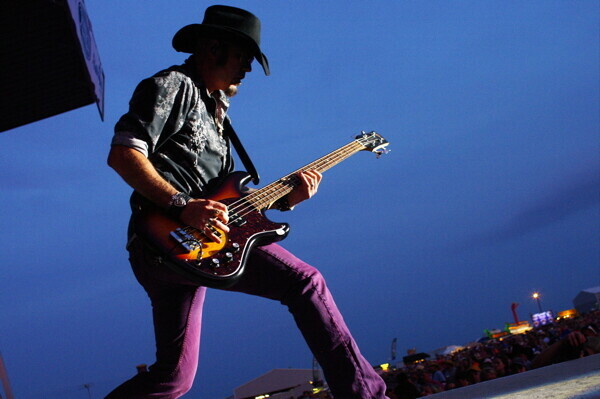 For the pure Wisconsinite inside you, there’s nothing quite like Country Jam. A brand-new addition to the Valley’s landscape of big music festivals is OneFest, a Christian music festival that brings big names in contemporary Christian music to perform alongside local acts. For the first-ever installment of OneFest, the festival – which is organized by a committee of members of different churches around the area – brings Tenth Avenue North, Sanctus Real, Mandisa, Citizen Way, and more for the two-day festival, which is completely family friendly. Every summer before the dog days rear their head, Durand preps an awesome three-day blues festival with two stages and tons of great regional and local blues acts such as Left Wing Bourbon, The Whyte-Orfield Band, and South Farwell. Blues lovers, it’s well worth the very short trip. Every year, Ashley Furniture throws a huge three-day party and gives tons of money to non-profits to celebrate their success with their hometown of Arcadia. Ashley For The Arts always sports one of the most interesting lineup of musical headliners in the Valley, and 2018 continues that trend with acts including Daughtry, Rascal Flatts, and Rick Springfield. Go see some awesome music, maybe run the 5K, check out the car show, and bring the whole family. Just north of the Chippewa Valley in the small town of Glen Flora rests an awesome rock festival just waiting to be unleashed. The Northwoods Rock Rally is four whole days of rock greatness, monster truck rallies, costume parties, and more. Musical headliners include rockers like Buckcherry, P.O.D., and Alien Ant Farm.